Our cable systems are used in a wide variety of different application areas: in energy and production systems, in control and switch cabinet systems, in road and rail transport and elevators and escalators. Safety and reliability are the decisive parameters – which is why we place such great importance on the quality and safety of our systems. With state-of-the-art tools and machinery, we’re able to achieve consistently high product quality. With crimping force monitoring and micrograph analyses, we ensure a consistent production level while eliminating impermissible fault tolerances. 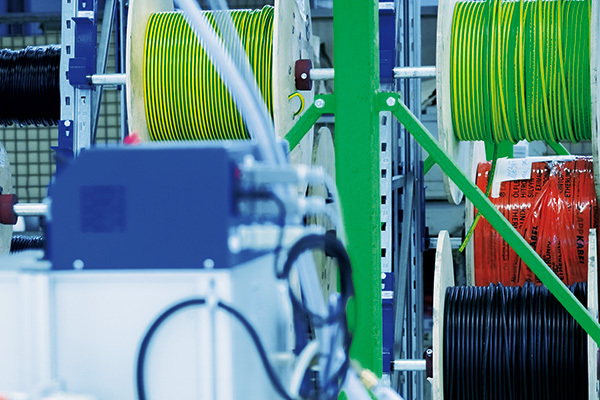 With flexibly designed production processes, we fabricate cable products in accordance with your individual needs, from minimal unit quantities to full-scale production series. Thanks to the integration of our locations in Eastern Europe in our production process, we can offer cable systems at competitive prices.